1970 specification trailblazer sign. Manufactured between 1970 and 2006. 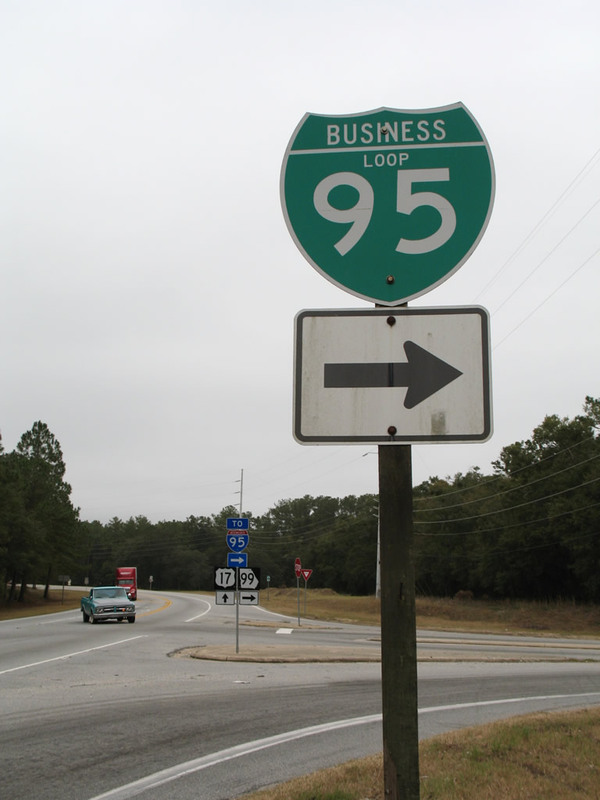 The last business loop shield of Interstate 95 in 2006. Photo by Alex Nitzman, 12/20/2006.